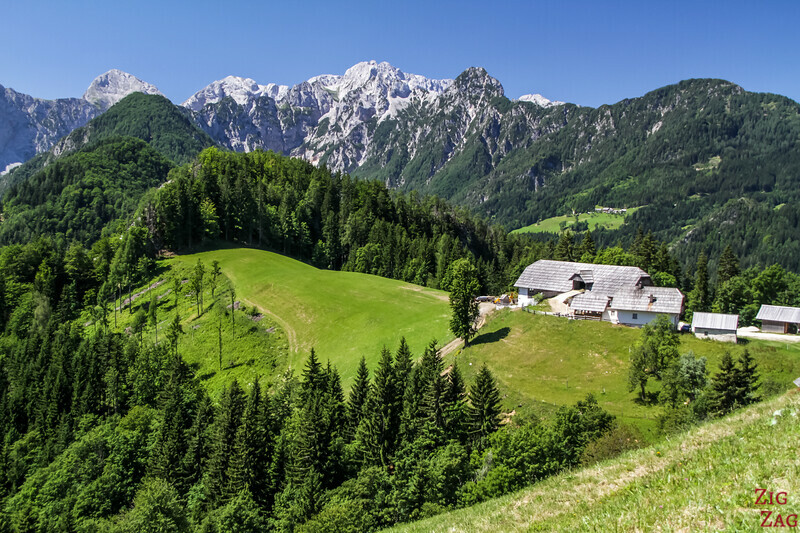 Lesser known than other wonders in the country, the Logar Valley Slovenia is definitively worth the detour: Sharp summits, rock walls, green pastures, historical and charming farms and, of course trees everywhere. 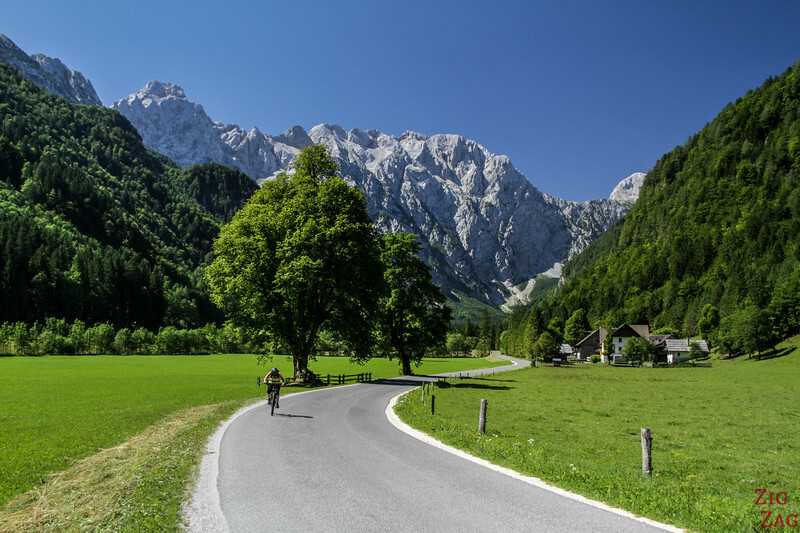 Also known as Logarska Dolina, it offers some of best landscapes in Slovenia including those on the Solcava Panoramic Road. Below is my guide to help you discover this unforgettable region. 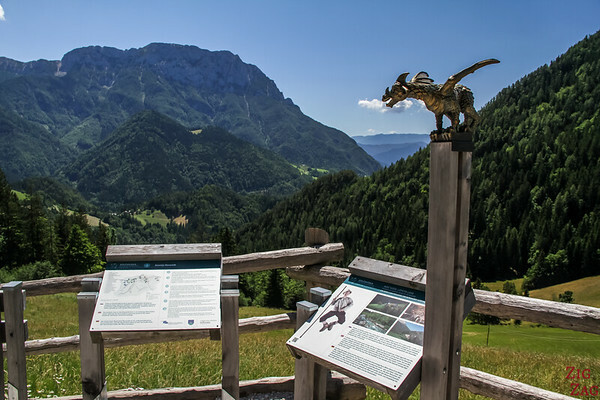 Where is Logarska Dolina and how to get to the Logar Valley? A picture is probably worth anything I could tell you. It is hard to describe why this valley in particular is so impressive. 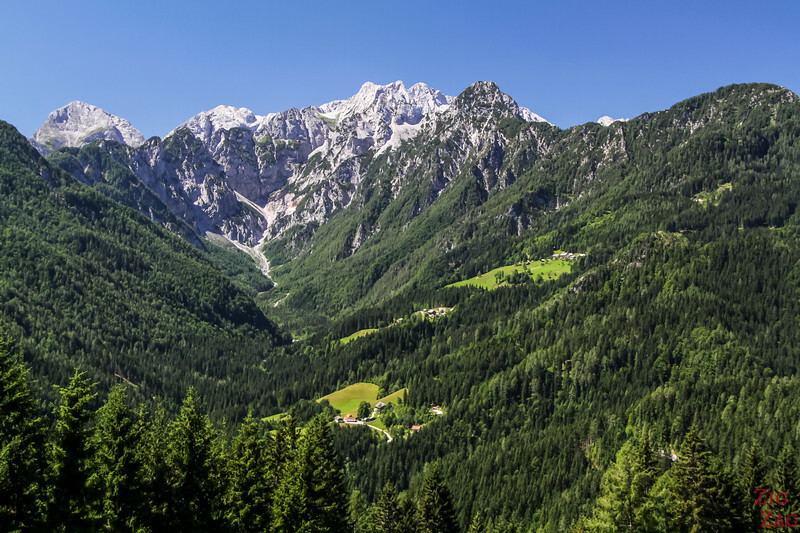 Probably because it is just the right size (not to narrow and not too large), because it displays magnificent shades of green and because it ends with an amphitheater or bare summits with very steep slopes. And it has remained quite pristine, only shaped by the historical farms of the region. 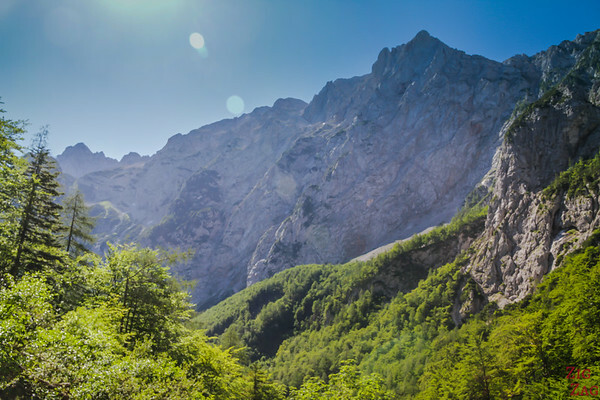 What is nowadays called the Logar Valley is actually the whole region which include 3 glacial valleys: Robanov Kot, Logar and Matkov Kot as well as the Solcava Panoramic route just across from them. A large part of it is protected as a landscape park. 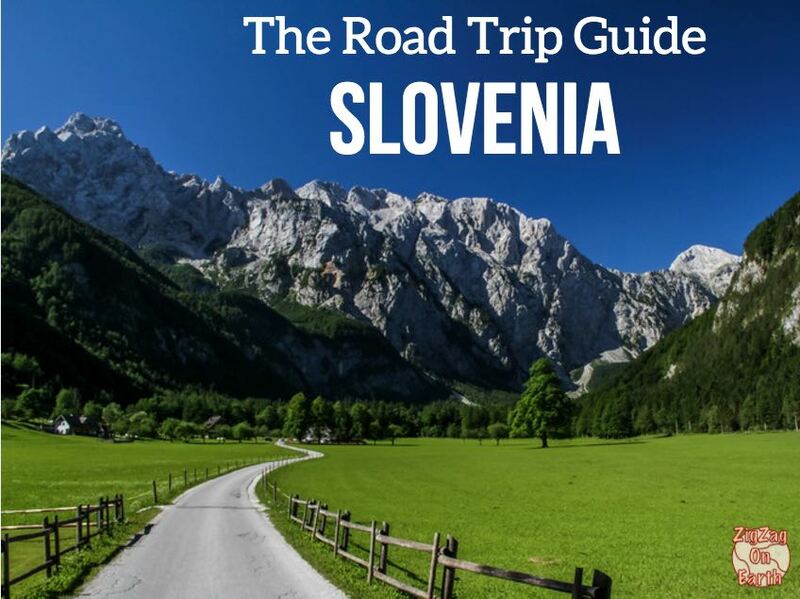 Can you understand why I think it is one of the Most beautiful places to visit in Slovenia? 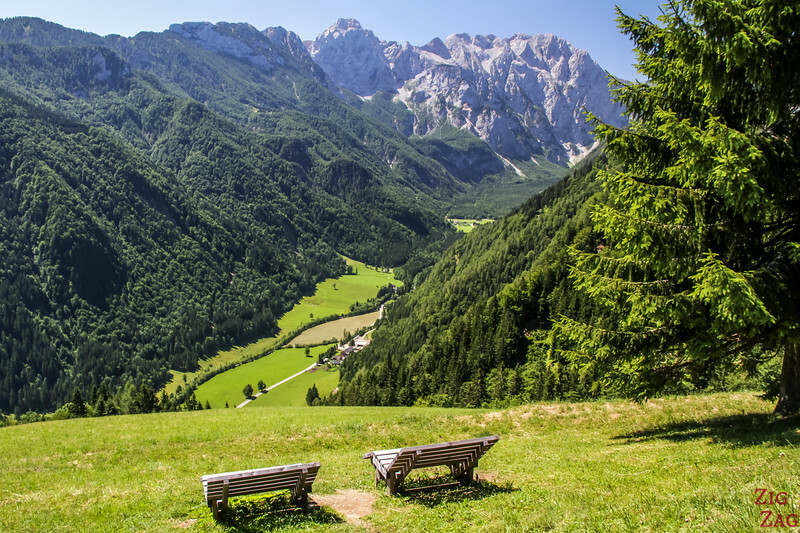 Where is the Logar Valley location ? 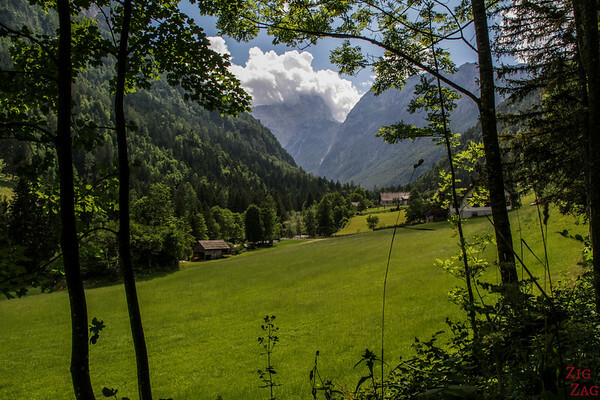 The Logar Valley, called Logarska Dolina in Slovene, in located in the North of the country, in the Kamnik Alps, close to the border with Austria. Here is a map for you, where you can see the Logar Valley location compared to Ljubljana. Efforts are currently made to develop tourism in this magnificent area. 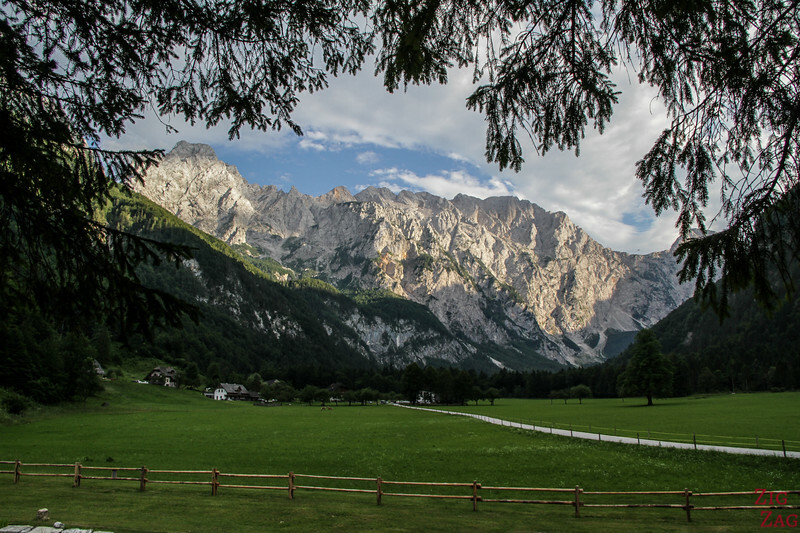 The easiest way to visit the Logar Valley is on a road trip, self drive. 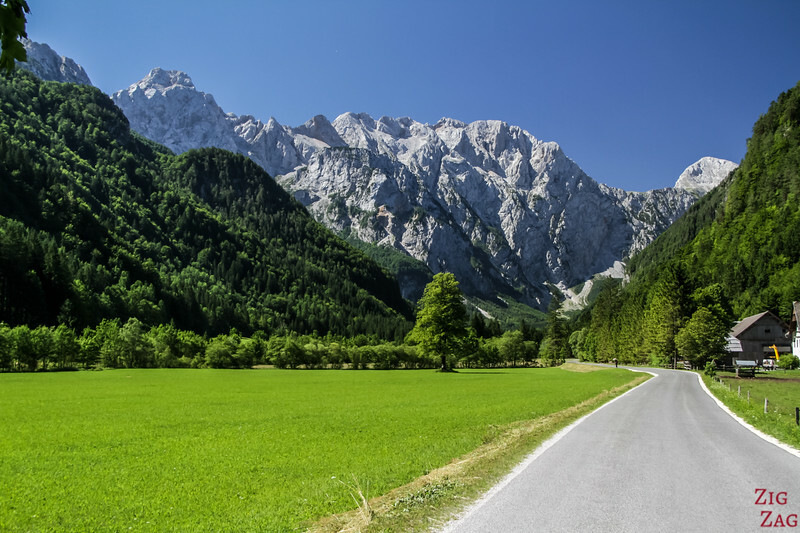 The roads from Ljbubljana are in very good conditions and it will allow you to explore the area more easily. 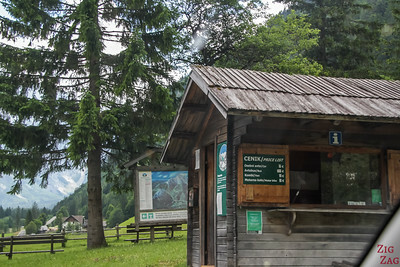 Note that there is a tollbooth at the entrance of Logarska Dolina itself and you have to pay a daily permit to enter with your car. 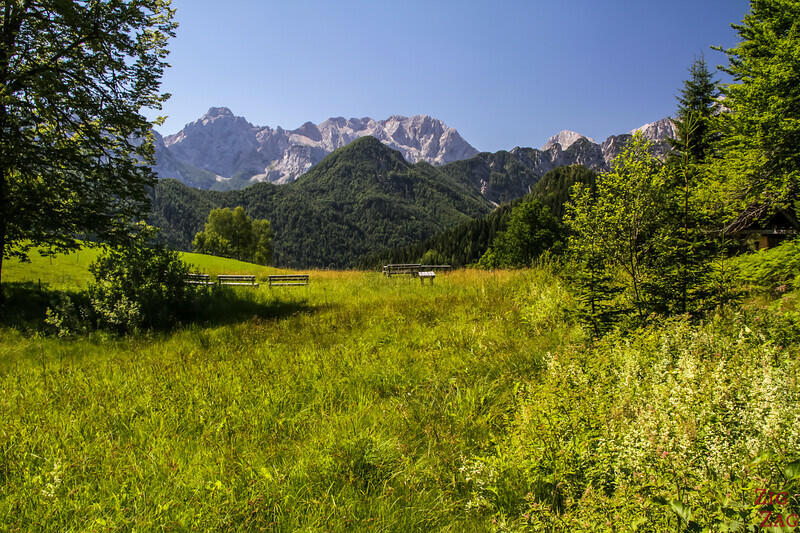 But if you are not road tripping through Slovenia, you can still see the Logar Valley. 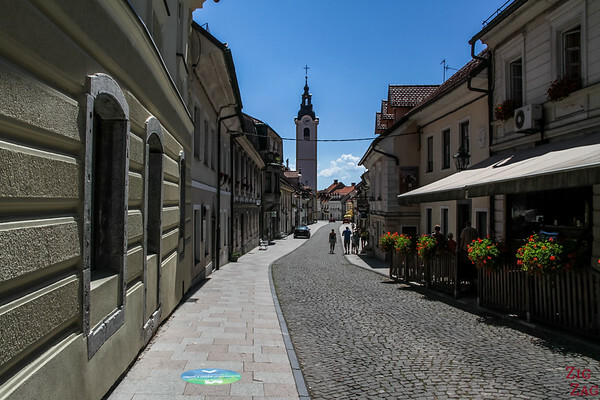 There are not much public transportation options, but a company is running a tour to the area departing from Bled or Ljubljana. 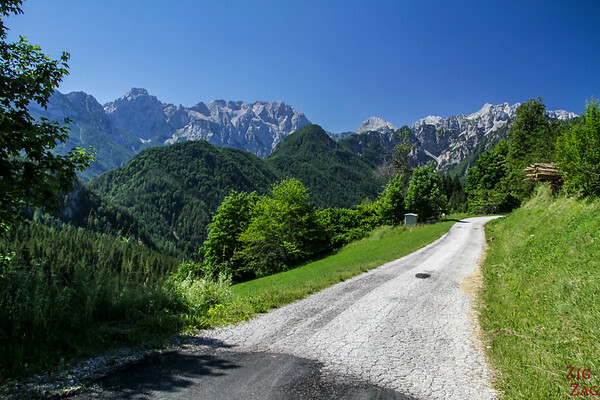 If you are stying several days, you can stop in Solcava on the way to the Logar Valley to get information at the tourist office (Rinka Center) as well as maps, including the one of the Solcavksa Panoramic Road. 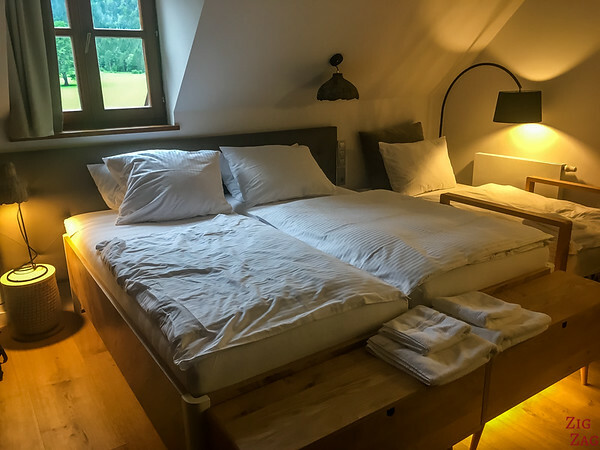 Where to stay in the Logar Valley? A few Guesthouses and farms are providing accommodation in the region. 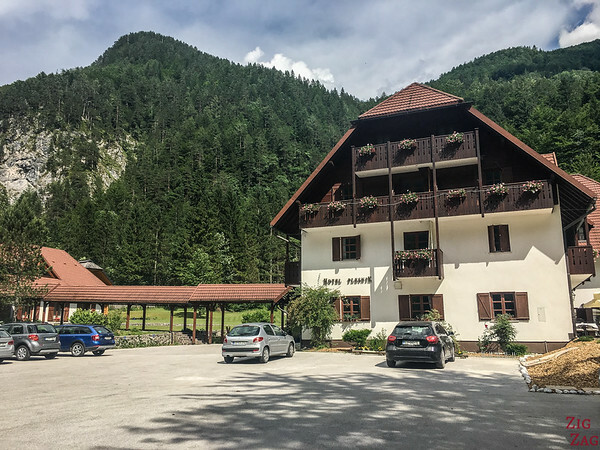 But the main Logarska Dolina hotel is Hotel Plesnik . It is located where there is the best view of the valley. This is why I booked there, just to be able to see that view (the one on the first photo in the next section) all the time while staying and even swim while enjoying it. I like the decor of the rooms and the staff was nice. The only annoying thing was the high quantity of lights and buttons to turn them on and off. I was always trying to find the right one LOL. 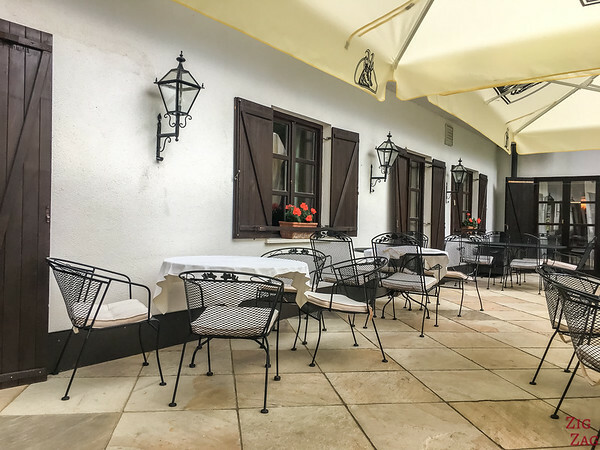 But if you want a more personalized experience, check out the best rated guesthouses and farms around the Logar Valley. 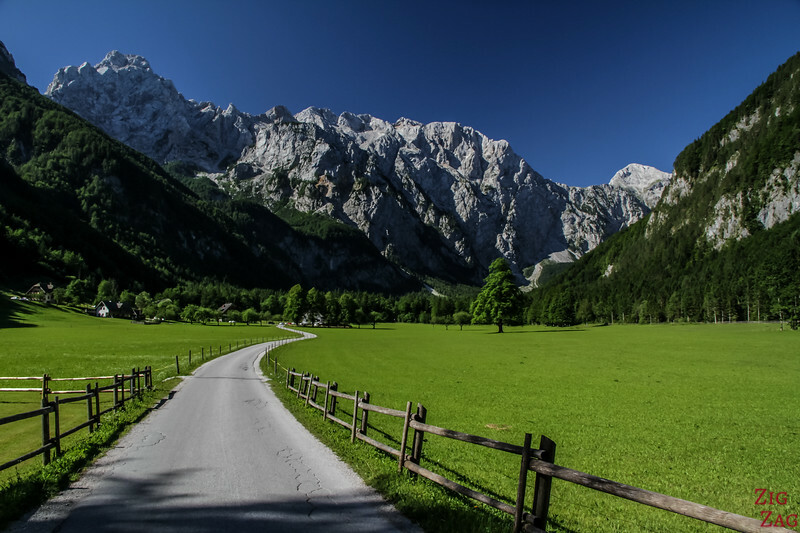 The advantage of Logarska Dolina (or not depending on your perspective) is that you can drive all the way to the end of the valley. The road is in good conditions. It is a very easy drive. 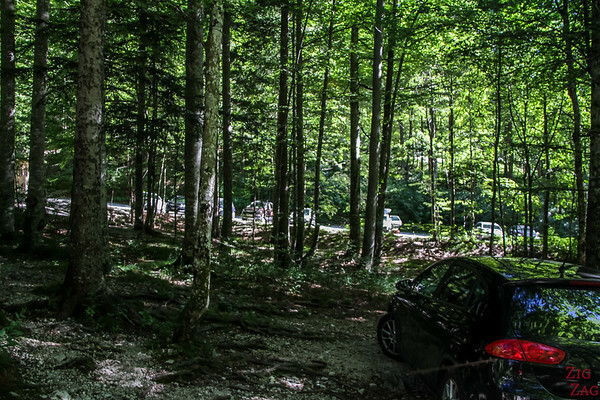 The first section is open with fantastic views, and the second part is under the trees all the way to the parking of Slap Rinka Hike. There are several hikes in the region and 6 waterfalls. 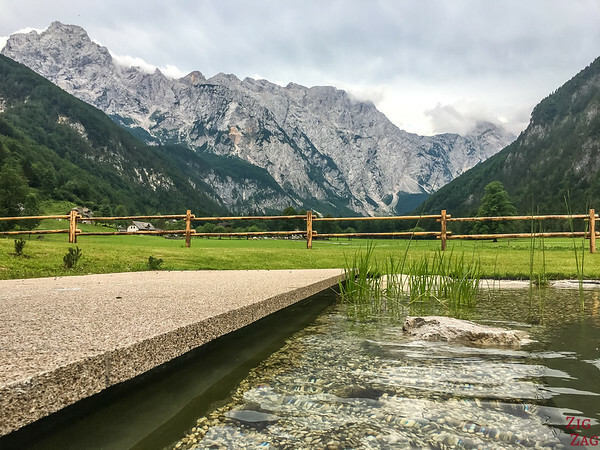 One of the most famous is the one to the Rinka Waterfall, which is quite different from all the other waterfalls in Slovenia. The Rinka waterfall is a single 90m drop agains the grey and orange rock wall. 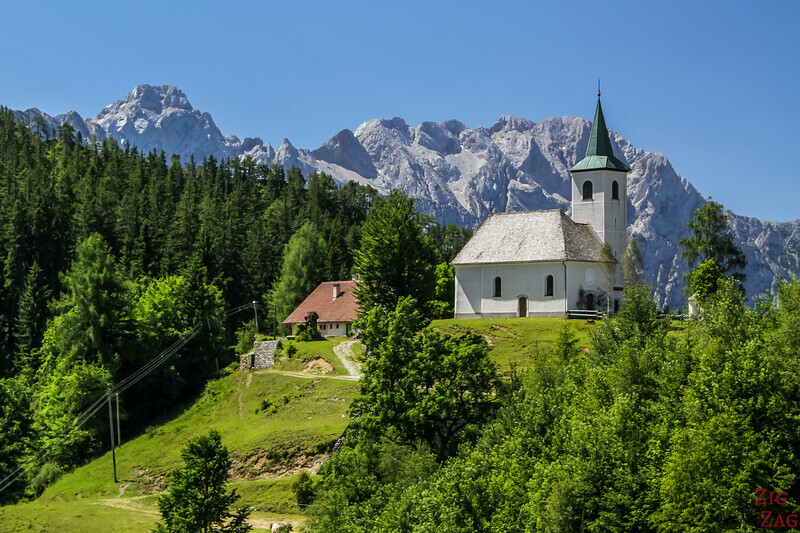 It is often said that it is the tallest in Slovenia but apparently, it is not the case. To reach it you have to drive all the way to the end parking in the valley. There is a bar and facilities. From there it is a 15 min hike uphill. 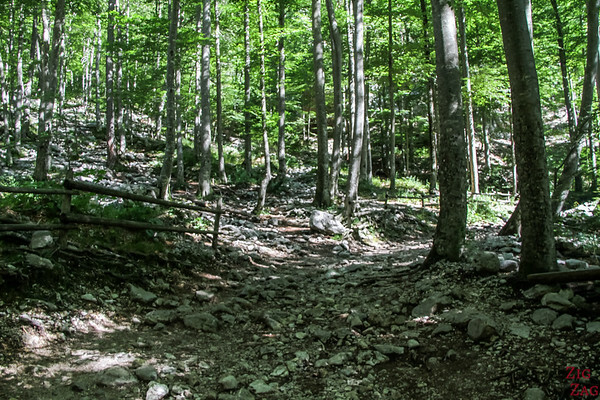 It is quite steep and the rocks are slippery so wear good footwear and make sure you are fit enough. 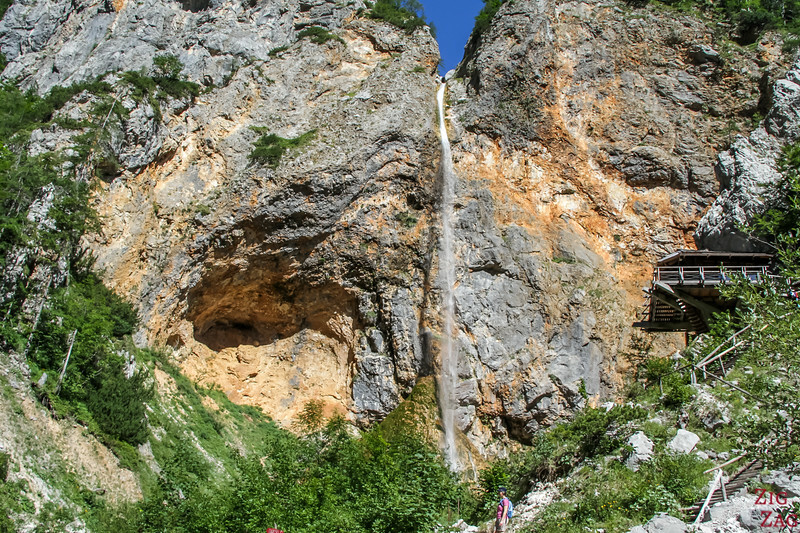 If you want to see a waterfall that is more easily access, you can check out Slap Palenk right behind Hotel Plesnik. When I visited, there was almost no water falling, so it was just a big rock wall. But when water is flowing it must be nice (see a photo here), expecially when it is freezing in Winter. Just Shouth of the Logar Valley, is Robanov Kot Glacial Valley. 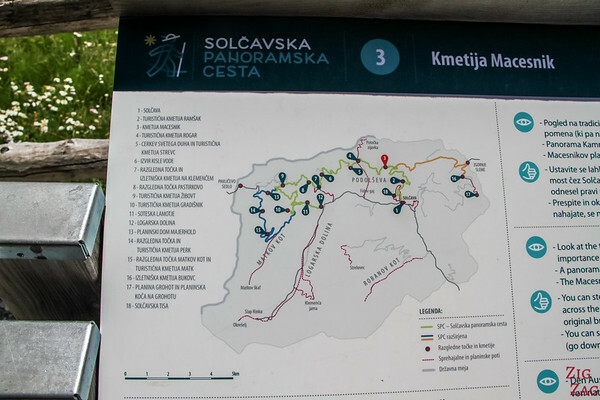 It is also a protected nature area that leads to Mt Ojstrica. It is a lot less touristy and there is a nice trail through the valley (not possible to drive all the way): 1h walk. It takes its name after the ancient Roban Farms which has been inhabited for more than 800 years. As you can see on the photo above there was not much water when I visited. 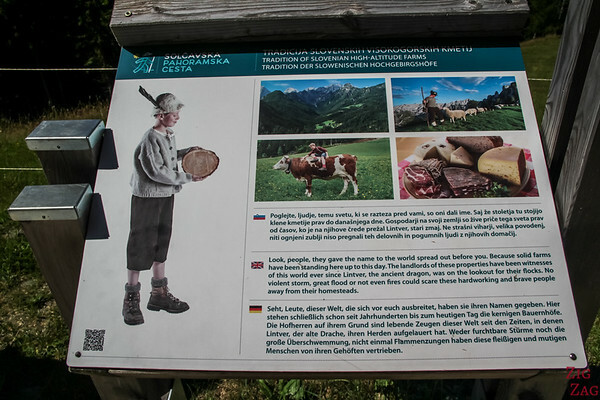 Don't hesitate to enter the Govc-Vrsnik Tourist farm to learn more about the region and taste local produce. 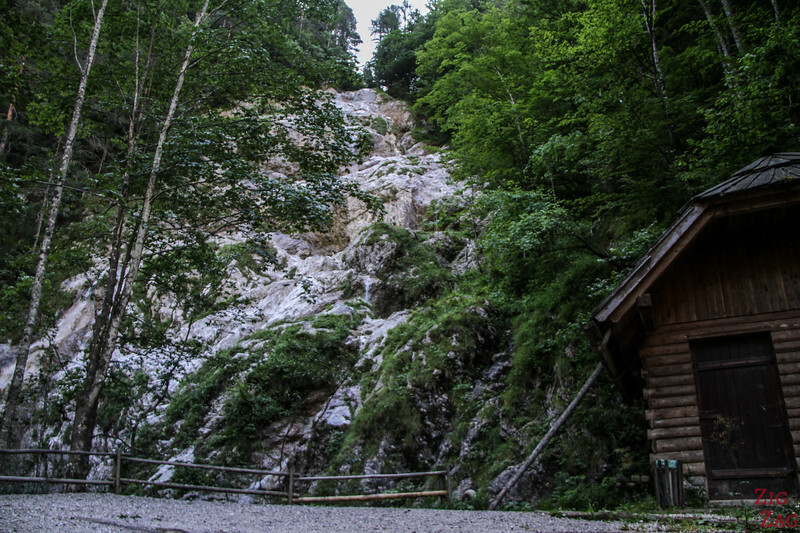 Its local name is Solčavsko. Let me start by describing the drive before showing some of my favorite viewpoints. There are 3 sections fo the Panoramic road, the main one being the green line on the map. 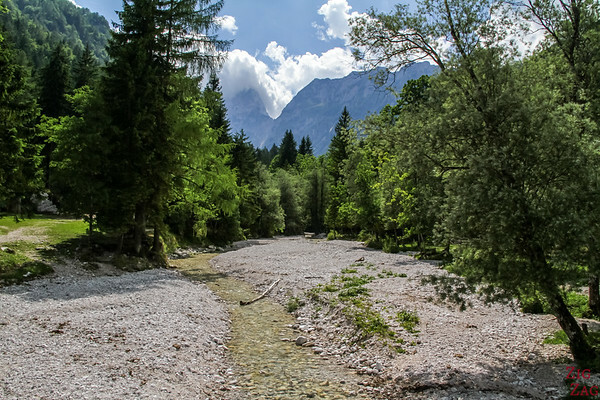 It starts at the entrance to the Logar Valley and finishes at Solcava (or the opposite). It is not the easiest of drive. 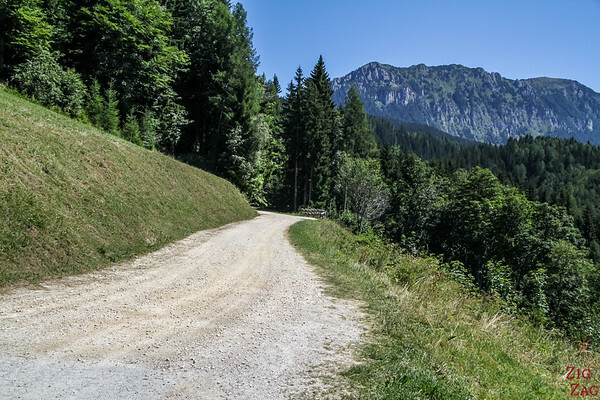 The road is often narrow and there is even a section that is not yet paved. This means you have to drive slowly. The main attractions are the various nature viewpoints along the way. They are clearly indicated but parking can be sometimes a bit complicated. 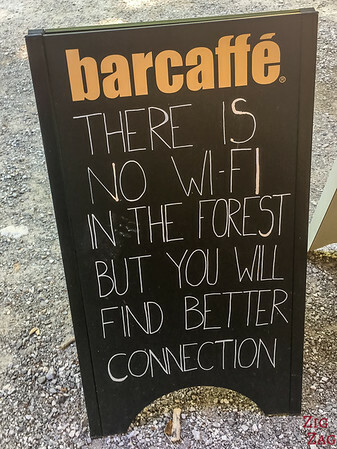 If it becomes a lot more popular, I don't know how they will manage. The one above is number 9 at the Zibovt Tourist farm. This is not the best views but it is an intriguing location because it is wetland where more than 50 species of plants grow! And now stop 7. It is considered the best lookout point of the whole road. Above is the view on one side, with the Logar Valley. Loved the giant loungers to enjoy the place. Would you love to sit there? And a last one (it is difficult to pick only a few...). Below is Stop 5 with the Holy spirit church. 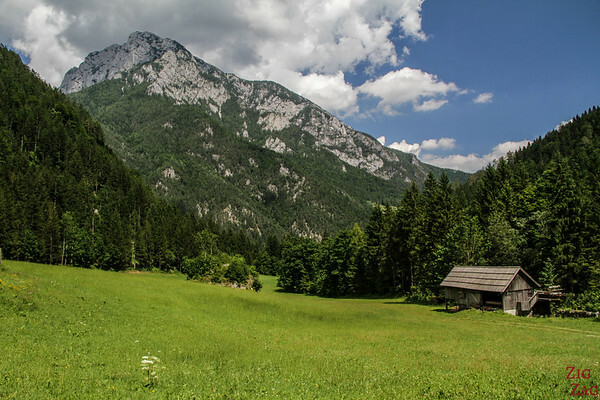 Simple but elegant with the surrounding Kamnik Alps!!! 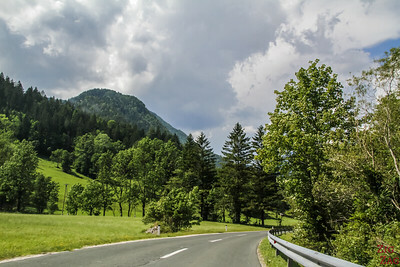 The Solcava Panoramic Road is not only for the views. You can follow stories and explanation about the region and its tradition. 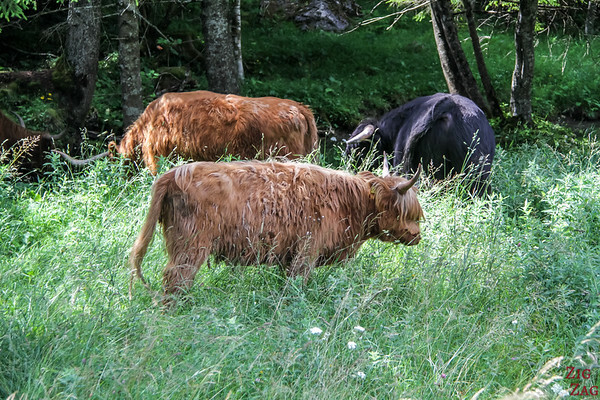 Each stop has explanation and is near a farm where you can taste delicious local produce. 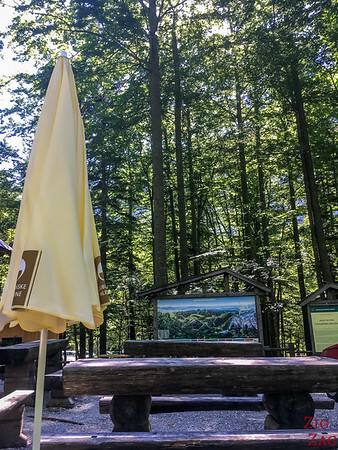 Between Ljubljana and Logarska Dolina there is more to explore. Below are 2 stops to consider. 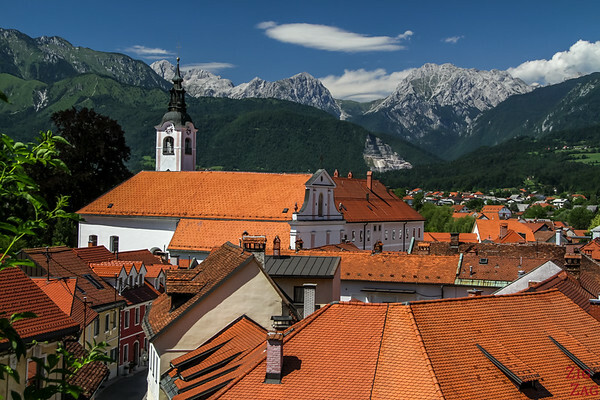 Kamnik was one of my favorite little towns in Slovenia. I fell in love with the view from the ruins of the old castle. The contrast of the red roof with the deep green of the trees. The bare summits and the church tower. 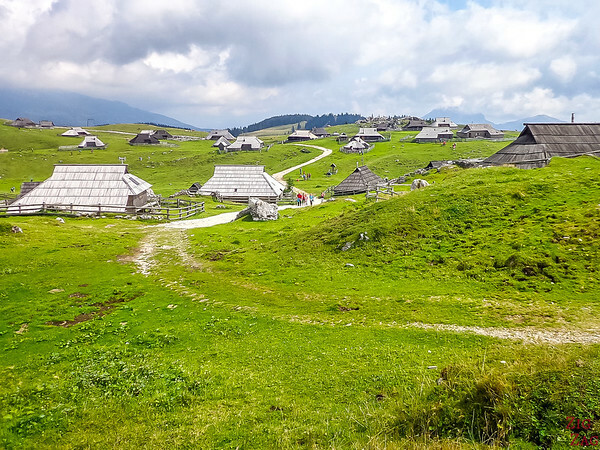 Another very famous location is Velika Planina (a lot more touristy). 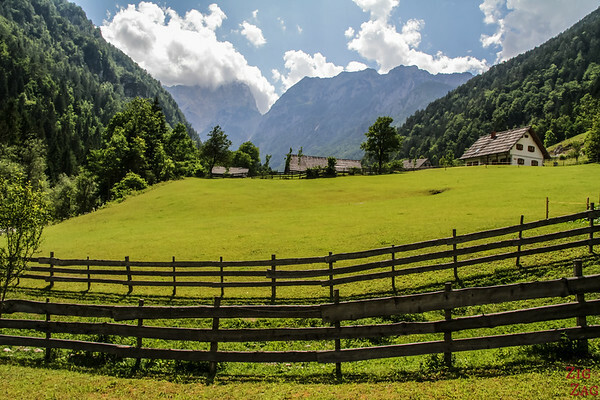 It is an area in the mountains where herders have installed their small farms. 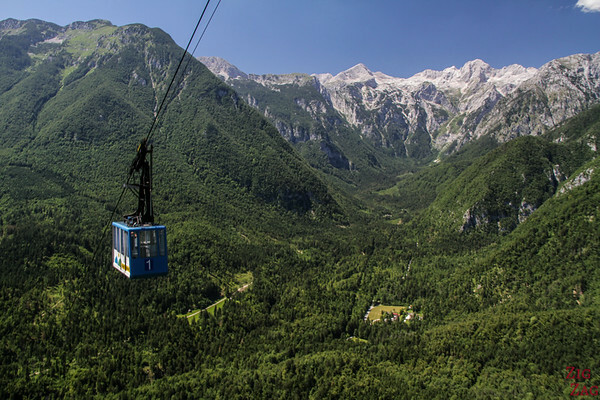 A cable car followed by a chairlift allow you to easily reach the area. However if you are afraid of heights the cable car might be a problem. It is quite steep and old... but the views are breathtaking!